We are returning for another year at Affordable Art Fair 2017! This time, we are bringing with us a fun, eclectic mix of the modern, the traditional and the quirky. Ranging from Chinese ink paintings to bronze sculptures and even photography, we have artworks to suit the tastes of the pickiest critic! 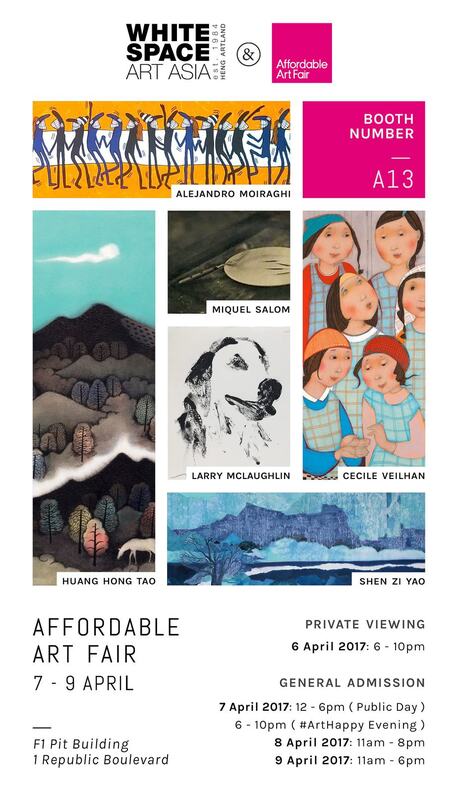 This year, our lineup features Alejandro Contreras Moiraghi, Cecile Veilhan, Miquel Salom, Shen Zi Yao, Huang Hong Tao, Larry McLaughlin, Gabriel Ortega and Zhang Ruo Yu. There is something for everyone, so come down to Booth A13 and take a look for yourself.